This morning, while praying the Aaronic blessing from Numbers 6, an image came to me of a sun-warmed tan wall with dark green shutters. 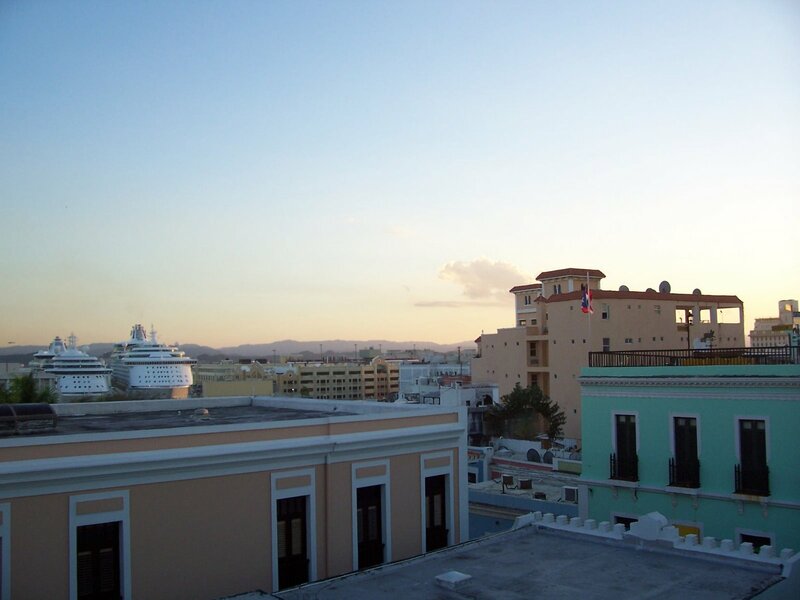 The image originates in last year’s visit to Old San Juan, whose pastel buildings are set against a gorgeous sky and sea backdrop of vibrant blues. As I walked through the narrow streets on a warm evening, breathing the tropic air and hearing the rhythmic surf, the setting sun glowed on the buildings’ bright colors and gilded a silver cloud above purple hills. It was a wonderfully relaxing moment, saturated with peace. The tan wall with green shutters represents this world’s peace. But why were the shutters closed? Other than glass storefronts, most ground-floor and even second-level windows in Old San Juan were shuttered. I doubt the shutters were closed against heat or insects. They appeared to be permanently closed. On the bus ride to Old San Juan, I noticed most apartments in San Juan had protective railings sealing their balconies. Crime is obviously a problem. The tan wall image is the epitome of peacefulness: warm sun, rhythmic surf, and glowing colors. But it is an image of this world, where shutters are barred against prowling evil. True peace is found only when one has peace with God through the atoning sacrifice of Jesus Christ; who died for our sins, was raised by God’s power, ascended into heaven, and will return again one day to judge all people and bring his children into endless joy and ceaseless peace.